REAL ESTATE. BUSINESS. FAMILY LAW. Attorney Pete Doragh practices in the areas of real estate law, business law, and family law at the Doragh Law Firm located in Fort Myers, Florida. He is committed to protecting the rights and interests of his clients that live and work in Lee County and throughout Southwest Florida. He is a graduate of Georgetown University in Washington, DC and received his law degree with highest honors from Florida State University. He was selected as a member of The Law Review and The Order of the Coif. Pete is a member of the Florida Bar and Lee County County Bar. In addition to his commitment to protecting the legal rights of his clients, Pete is committed to serving the community through his leadership in Rotary. A Rotarian since 1992, Pete is honored to serve as District Governor 2014-15 and proud to serve District 6960. 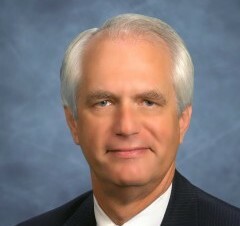 He has been President of the Rotary Clubs of Fort Myers South and Fort Myers Sunrise. Pete is a Major Donor, member of the Bequest Society, Benefactor, Paul Harris Society Member and graduate of Rotary Leadership Institute. Pete received the honor of being named “Rotarian of the Year” by his Rotary Club of Fort Myers South. Pete is passionate about Rotary Youth Exchange, having served the last several years as the District Chairman until becoming District Governor Elect. In addition to Rotary, Pete has served as the local Boy Scouts of America District Chair and is currently attorney for his local council. Pete and his wife Cyndi were married in 1988, and have five children. Each of their five children graduated from FSU, and shares their parents’ passion for the Noles. Pete enjoys watching Seminole and Buccaneer football and tailgating with friends and family, Atlanta Braves and Tampa Bay Rays baseball, boating, golf, hiking, camping and is an avid reader.